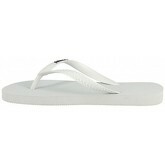 Tongs Summer Brazilian Tongs / Sandales Canot Blanc blanc Disponible en taille femme. 35 / 36. . Femme > Chaussures > Tongs. 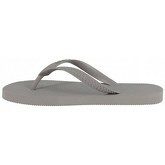 Tongs Summer Brazilian Tongs / Sandales Canot Gris Gris Disponible en taille femme. 35 / 36. . Femme > Chaussures > Tongs. Tongs Summer Brazilian Tongs / Sandales Canot Bleu bleu Disponible en taille femme. 35 / 36. . Femme > Chaussures > Tongs. Tongs Summer Brazilian Tongs / Sandales Canot Noir Noir Disponible en taille femme. 35 / 36. . Femme > Chaussures > Tongs. Tongs Summer Brazilian Tongs / Sandales Jaws Violet violet Disponible en taille femme. 35 / 36. . Femme > Chaussures > Tongs. Tongs Summer Brazilian Tongs / Sandales Canot Marron Marron Disponible en taille femme. 35 / 36. . Femme > Chaussures > Tongs. Tongs Summer Brazilian Tongs / Sandales Jaws Orange orange Disponible en taille femme. 35 / 36. . Femme > Chaussures > Tongs. Tongs Summer Brazilian Tongs / Sandales Chicama Blanc blanc Disponible en taille femme. 35 / 36. . Femme > Chaussures > Tongs. Tongs Summer Brazilian Tongs / Sandales Carcans Gris Gris Disponible en taille femme. 35 / 36. . Femme > Chaussures > Tongs. Tongs Summer Brazilian Tongs / Sandales Papara Blanc blanc Disponible en taille femme. 35 / 36. . Femme > Chaussures > Tongs. 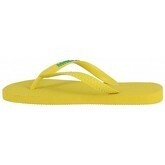 Tongs Summer Brazilian Tongs / Sandales Papara Jaune jaune Disponible en taille femme. 35 / 36. . Femme > Chaussures > Tongs. Tongs Summer Brazilian Tongs / Sandales Papara Noir Noir Disponible en taille femme. 35 / 36. . Femme > Chaussures > Tongs. Tongs Summer Brazilian Tongs / Sandales Papara Rouge rouge Disponible en taille femme. 35 / 36. . Femme > Chaussures > Tongs. 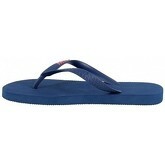 Tongs Summer Brazilian Tongs / Sandales Chicama Bleu bleu Disponible en taille femme. 35 / 36. . Femme > Chaussures > Tongs. Tongs Summer Brazilian Tongs / Sandales Papara Bleu bleu Disponible en taille femme. 35 / 36. . Femme > Chaussures > Tongs. Tongs Summer Brazilian Tongs / Sandales Papara Gris Gris Disponible en taille femme. 35 / 36. . Femme > Chaussures > Tongs. Tongs Summer Brazilian Tongs / Sandales Papara Vert vert Disponible en taille femme. 35 / 36. . Femme > Chaussures > Tongs.